The best things often start small. When Wisconsin’s Simplicity Credit Union was chartered in 1949 no one could have predicted that one day their member focused credit union would span 7 branches and include 85 employees. It would have been similarly impossible to imagine just how different their credit union would operate more than a half-century later. Printed documents and endless filing cabinets would be replaced with the glow of a computer's screen. But the arrival of these digital substitutes came with such force and haste that Simplicity turned to a solution ill equipped for their long-term needs. It all seemed so reasonable at first. With the hard copies ditched, each file, policy, and procedure would be stored digitally. Like so many others in the nascent era of connected computers, Simplicity leveraged Microsoft’s SharePoint to manage their file repository. They hoped that SharePoint would provide each employee fast and immediate access to the information they needed. Somewhere along the line it all went wrong. “We took an all staff survey of the credit union and asked what frustrates you... what makes your job more difficult? The overwhelming response was SharePoint." We couldn’t afford an expensive full time SharePoint developer. We needed something we could manage ourselves. In short order, OnSemble was successfully rolled out to staff that April. When you have SharePoint for that long, you end up thinking how can we possibly recreate this, but ultimately the only way we could get that back under control was to scrap it. was more than three clicks away from the homepage. The day they turned SharePoint off was a remarkable milestone on their mission to overhaul how their credit union accessed and interacted with information. Laszewski knew firsthand how important it was for this project to be a success, that Simplicity’s employees not only used their intranet but that they actually loved it. It’s hard to actually demonstrate how much you care. And I honestly feel that Passageways genuinely cares that we have a great experience. "One of the biggest reasons I would recommend OnSemble is for when we need help, we deal with a lot of vendors and when we need help some vendors really kinda fail you," concluded Campbell, "You guys have never failed us. I think it’s easy to be polite and businesslike, but it’s hard to actually demonstrate how much you care. 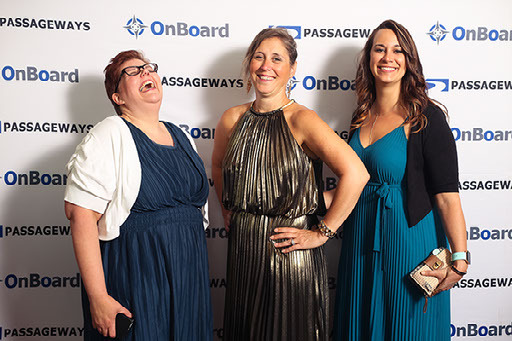 And I honestly feel that Passageways genuinely cares that we have a great experience." Simplicity's mission is to serve their members by making the complex simple. Having an intranet that doesn't require coding, where files and documents are never lost, a platform they can design and control, is essential – simply, OnSemble is crucial to Simplicity Credit Union's ongoing success. 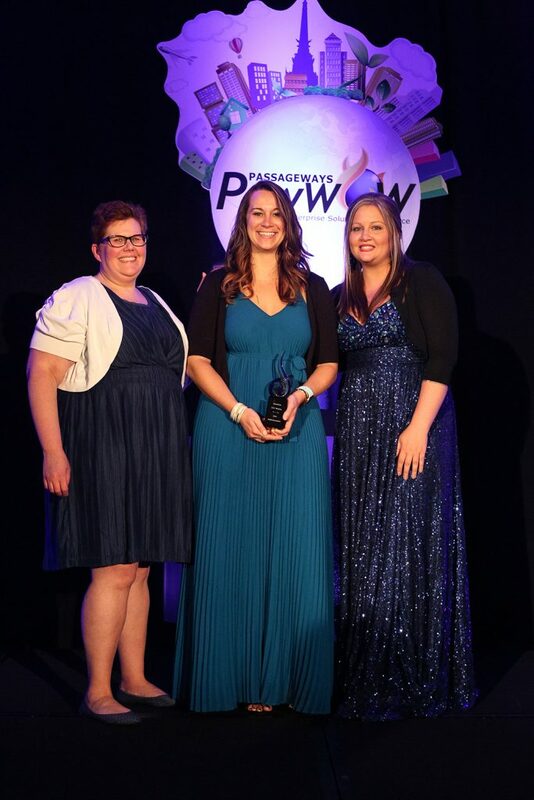 Simplicity Credit Union receiving the award for best portal implementation at Passageways annual customer conference.